Good morning to all friends, visitors and regular followers of Real Toads. You are all most welcome to our weekly Open Link, which provides an opportunity to share a poem of your choice in this forum. I think it would be remiss of me if I did not make mention of the Centenary of World War 1 today. On 28 June 1914, Archduke Franz Ferdinand was assassinated, and within a month, Austria-Hungary had declared war on Serbia. By 1 August, Germany had declared war on Russia and England declared war on Germany 3 days later. The chain of events which led to one of the worst examples of human conflict can be seen on the BBC website. 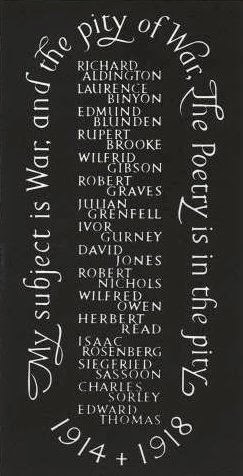 The Wilfred Owen Association has an International Poetry Competition running, but the closing date is today! If you are interested in submitting a piece, please click HERE. It is the fifth Sunday of the month, which means it is time for something Avant-Garde. I thought, "How avant-garde!" and thus, today's challenge was engendered. Write a poem for no prompt whatsoever. You may create your own stanza form, if you wish to or be quite contrary and throw form to the wind. Remember the basic precepts of the school of avant-garde art is to be innovative, ahead of your times, bold, courageous and visionary. Toads! I hope this charming video for Sir Paul McCartney's catchy song "Dance Tonight," featuring Natalie Portman and Mackenzie Crook and directed by Michel Gondry (Eternal Sunshine of the Spotless Mind), inspires. I rather love it and hope you like it, too. If you are game, please share with us a new poem about dancing with ghosts, mandolin-fueled hootenannies, postal carriers drinking tea, Paul McCartney's music career and/or life, or whatever other wonders this video brings up for you. I look forward to reading your poems! 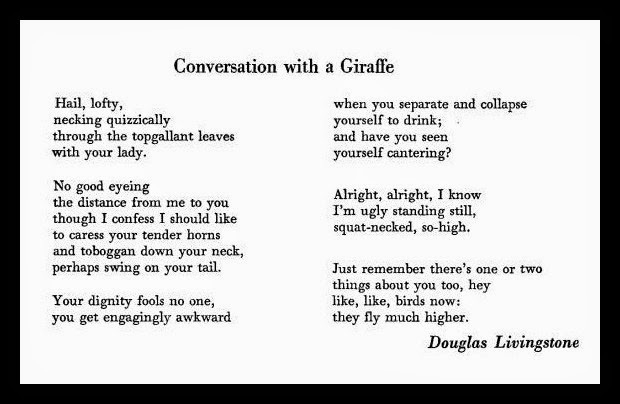 Today we are taking inspiration from South African poet, Douglas Livingstone, in particular his poem, Conversation with a Giraffe at Dusk in a Zoo. For this challenge, I would like you to select an animal, portrait, statue or any suitable companion of conversation that can be successfully addressed in Apostrophe. The entire poem should consist of the conversation, so any references to setting, characterization etc must be included in the words spoken. It may be a monologue or dialogue. Colloquial language, slang, informal speech is encouraged. Have fun with this one, friends. Once you have written a new poem for this challenge please link it up below and let's engage in conversations with our fellow poets. My customary Monday welcome is extended to all visitors to the garden, old and new. I encourage our regulars to invite a friend to join us in sharing and reading poetry. This is an opportunity to make new connections and create bonds between writers of poetry. Please link up a poem of your choice, and enjoy whatever time you are able to spend in our garden. Greetings to all on this day of the solstice - Summer for the Northern Hemisphere and Winter for those of us in the South. The solstice heralds the beginning of summer in the Northern Hemisphere. 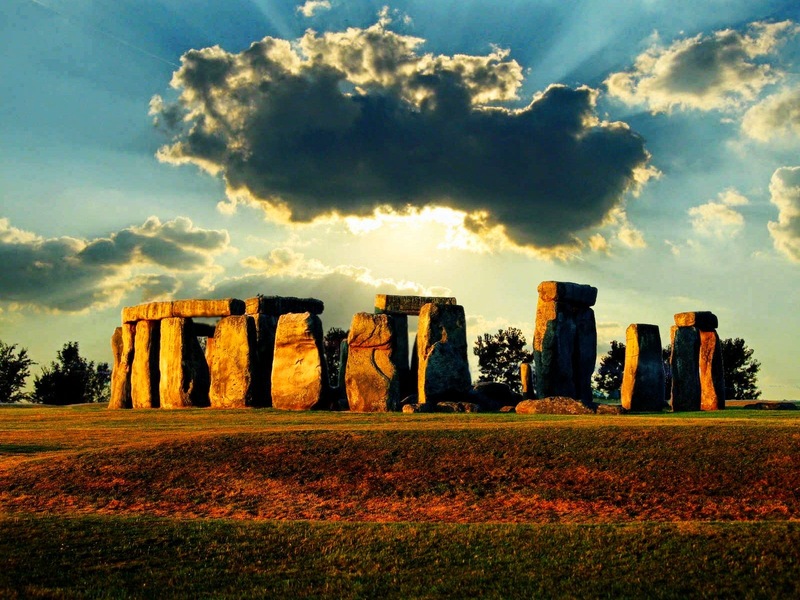 In 2014, the solstice falls on June 21 at 6:51 A.M. EDT. The timing of the solstice depends on when the Sun reaches its farthest point north of the equator. 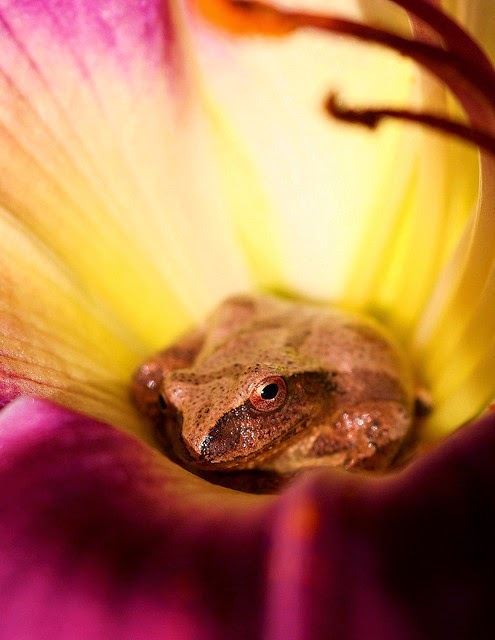 Here in the garden, it is time for us to "PLAY IT AGAIN TOADS!" What this entails is a feature of some of our past prompts and challenges to give everyone a second chance at some great ideas. If the links provided below do not meet with your fancy today, you may select a past challenge of your own from the Imaginary Garden archives. Please provide a link back to the original page on your blog. For those who favour a form challenge, I am linking one of my favourites, The Robert Herrick Stanza. If you prefer something a little more open-ended, here is Get Famous. The final selected prompt is a photography challenge featuring the work of Izy Gruye. Choices, choices! Have fun perusing these posts, or any others, and write a new poem to link up below. Today we have the opportunity of taking a leap into a distant land. 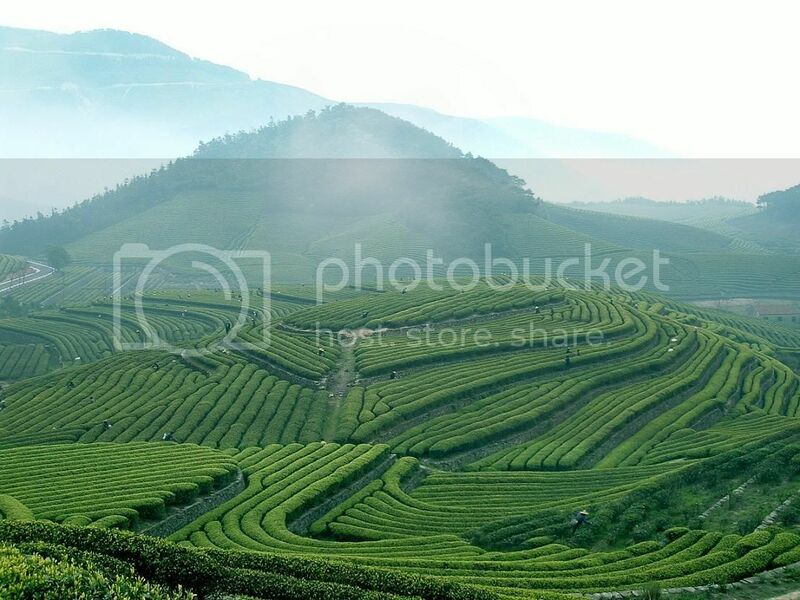 If it pleases your muse, take a virtual trip to the Fields of Tea in China! (cc wiki Gary Stevens Chinese tea utensil including three gaiwan Chinese tea utensils). Or delve into different aspects from this place. Terracotta Army detail, Xi'an, China Photo by Peter Morgan). (cc wiki A giant panda, China's most famous endangered and endemic species, at the Wolong National Nature Reserve in Sichuan. Close up of a cute baby 7-month old panda cub in the Wolong Nature Reserve in Sichuan, China. Photo by Sheila Lau). and please, visit other's who're linked here, too. Toads, the number of the day is three. Throughout time and across cultures, the number three has been held as significant. 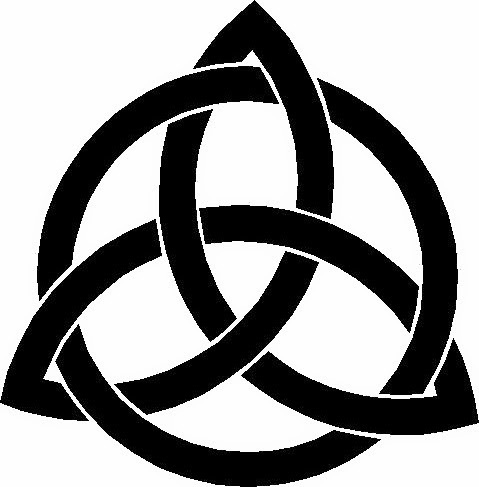 Religion (the Trinity), visual arts (the rule of thirds), and Wicca (the three-fold law) are just a few examples of the widely held view - "onme trium perfectum"- that perfection comes in threes. With that in mind, let's explore the rule of three as it relates to writing. It's pretty simple, really. Three is more satisfying to a reader than two. Three stanzas, three adjectives, three examples of something . . . three paragraphs, three elements, three rhymes . . . see what I mean? Play with the rule of three in any way you like . . . just keep it to 90 words or less. 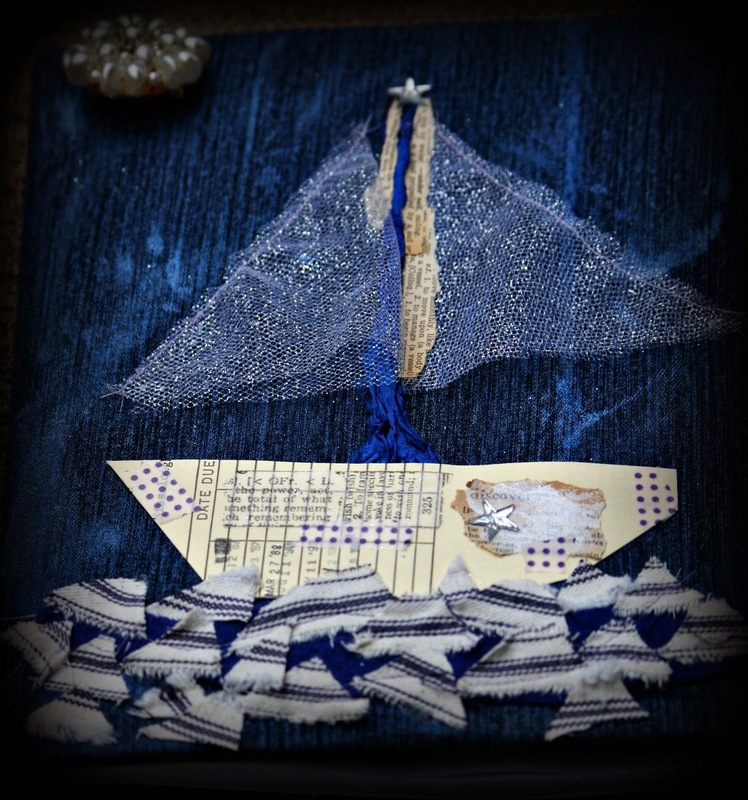 When Sherry challenged me to share my art and write a poem-I breathed a sigh of relief. I was tagging my art to submit to Stampington & Company. 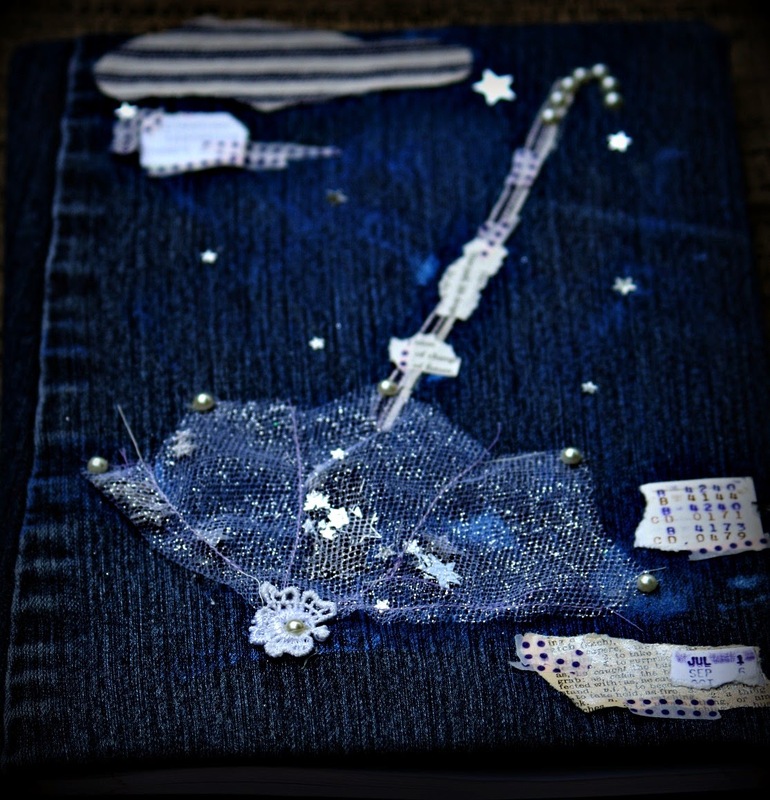 I had just finished making three journals for A Gift for an Artist Challenge. Sherry loves nature-my new nickname for her is WOW-Wild Owl Woman. She is very insightful and full of ideas. I decided to let Sherry pick the art to inspire my poem. I have written articles about what inspired my art and always find it revealing. I was intrigued to see how my art would inspire a poem. I think all creative types need a place to pen their hopes and dreams-this inspired my journals. Hope keeps us going on our journey, no matter how many storms we weather. to wash over him-together again. serenaded by the sea-LM and SO had secretly eloped. to catch Lunar's Swarovski crystal tears. children, in her moonlit garden. She keeps Lunar's and Sacred Oak's secret. My daughter, Caitlin, sent me this link a few days ago. 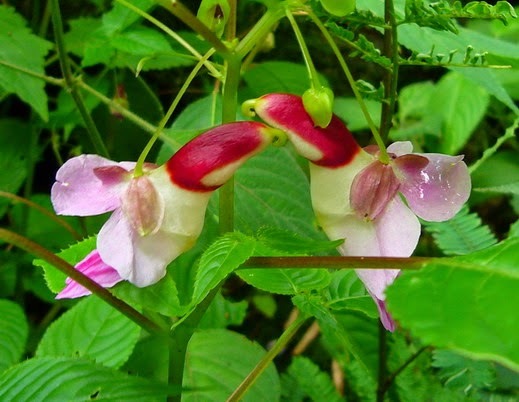 She thought the amazing Flowers that look like something else would be perfect for the Imaginary Garden. 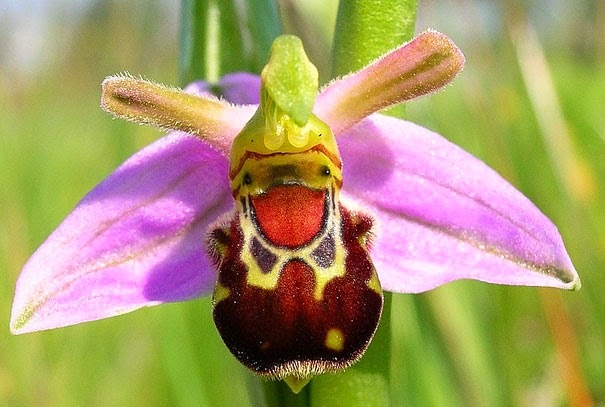 While I was trying to chase down photo credits, I came across another blog post, Orchids that look like animals, which is also worth perusing. I have attempted to give accurate credit for these photos, but it is often difficult to track down their origins. 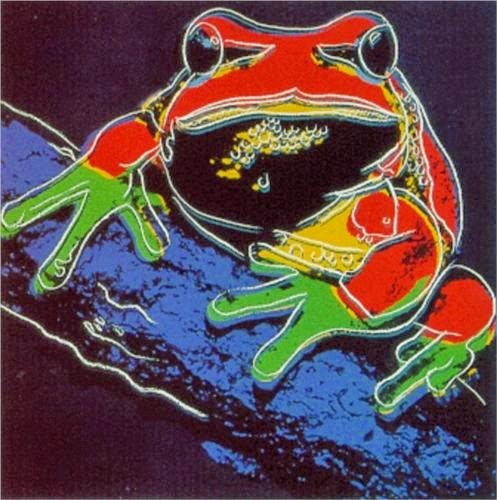 No infringement of copyright is intended in displaying them on Real Toads. These flowers have made me think about the way we view the world, and the things in it. We see shapes in clouds and birds in flowers - even a mountain range may look like a sleeping giant or a tree trunk like a man. The way we are continually engaging our imaginations to make sense of things is astounding. Of course, this must naturally translate to art and poetry, as we attempt to capture our points of view and give colour and word to our creative thoughts. Do you have a poem to share with us today? We would love the opportunity to read your latest piece, or to be afforded the chance to read something from your archives which we may have missed. 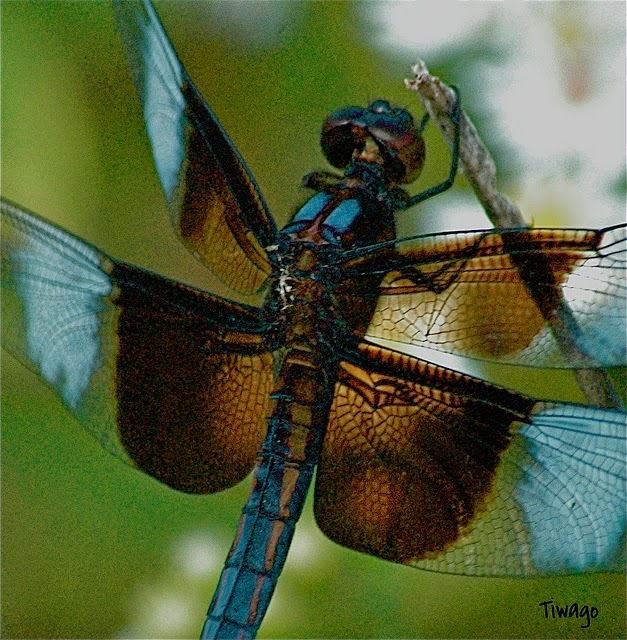 Please link up a poem of your choice and take some time to visit the blogs of other writers. 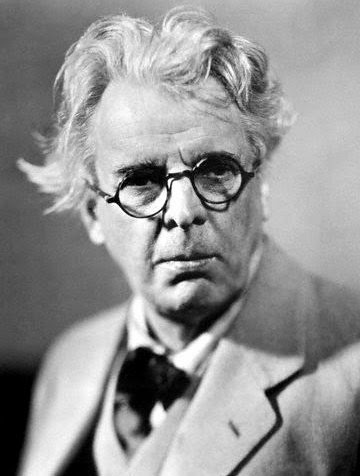 William Butler Yeats is a poet who needs no introduction. He is considered to be one of the foremost poets of the Twentieth Century. He is firmly established as a modern poet, yet he drew his influences from traditional Irish ballads and songs, writing extensively in rhymed verse. His earlier poems utilized quatrains, but for his later and most famous works, he preferred the octave as a stanza form. a b b a c d d c. The poem may then consist of any number of stanzas. 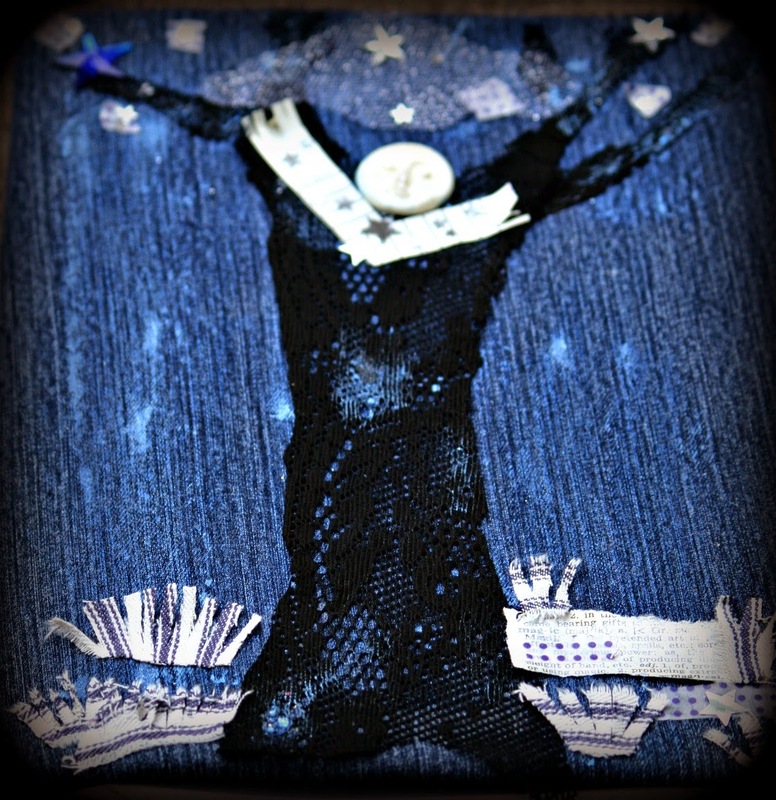 This pattern can be seen in his poem, Two Songs from a Play, which explores the end of Greek paganism. I have reproduced the first stanza here. As though God's death were but a play. Yeats worked extensively with Ottava Rima in his later work. The significant difference between this and the previous octave form is the rhyme scheme, which is a b a b a b c c. Iambic pentameter is the favoured meter. This structure forms the basis of the stanzas in many of his poems, including Sailing to Byzantium. Our challenge this weekend is to create a poem, using either octave forms, of between one and four stanzas. The format challenge is posted on Saturday to allow for an extended period of time to work on a new poem. The Linky remains open, but you may prefer to link up on Monday instead. Please provide a link back to this challenge, if you do so. Only poems written specifically for this challenge may be linked up to this post. Hello, dear Toads and Pond followers. Last time, we had a look at "naive" painter Seraphine Louis, and it seemed to strike a chord with all of you. 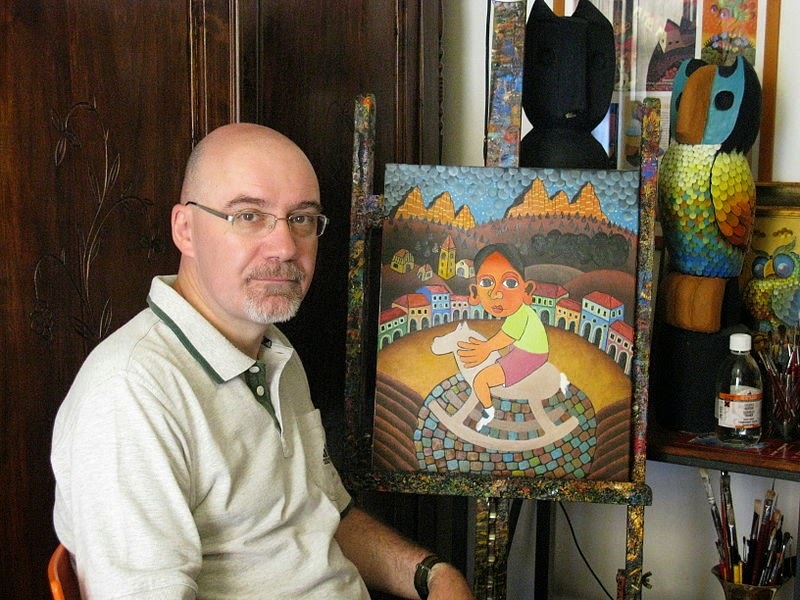 So I have decided to present another "naive" painter (and sculptor), the Italian artist Guido Vedovato. I love his paintings. They have a marvelous storybook quality. The lack of adherence to perspective gives them a trademark dream-like quality, and he likes to portray animals and birds, another point in his favor, in my opinion. 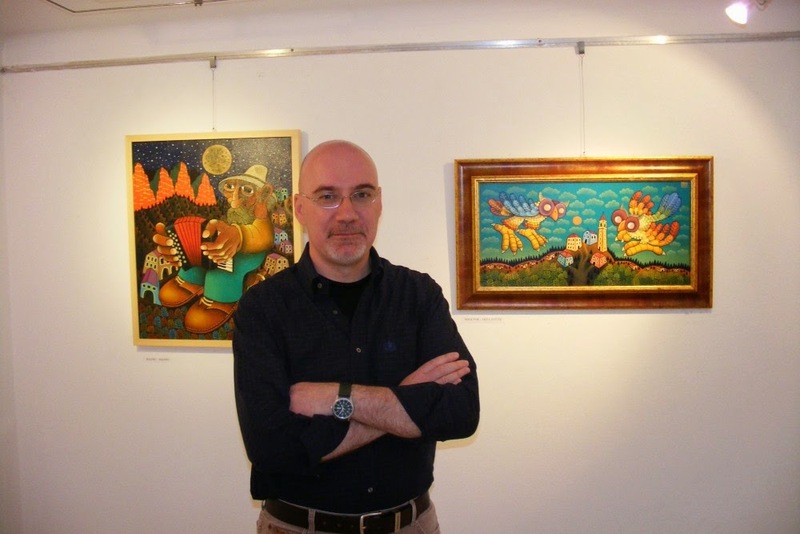 Take a look at these paintings by Guido Vedovato and see what poems you may feel inspired to write! Due to stringent copyright restrictions, we are not allowed to reproduce his artworks, however a link to a specific painting on his website would suffice to show the image you chose. Then link up so that others can come and see what his paintings inspired you to write. I do ask that you write a NEW poem, not something from your archives. Happy Wednesday everyone! 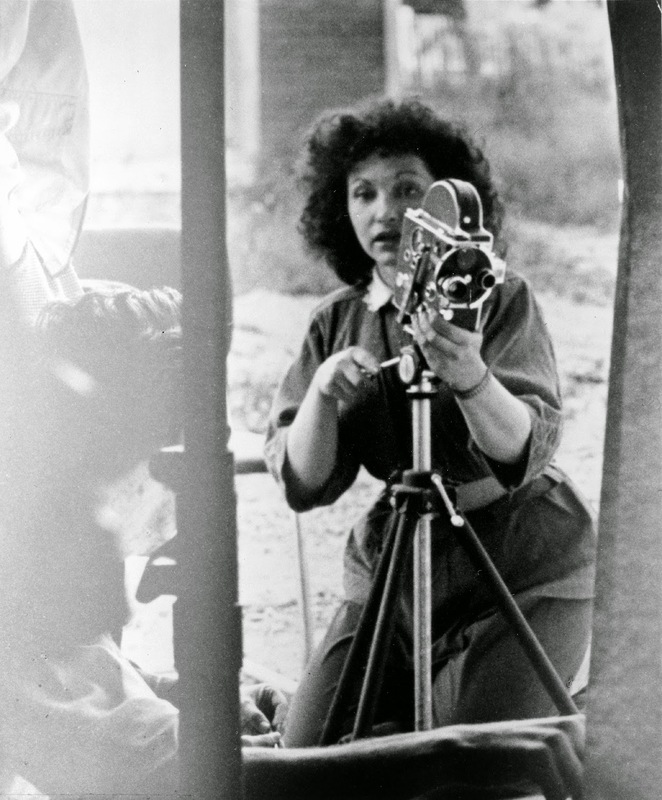 Today I want to share Maya Deren with you and hope her innovative approach to film art will inspire you. Maya Deren (April 29, 1917 – October 13, 1961), born Eleanora Derenkowskaia (Russian:Элеоно́ра Деренко́вская), was one of the most important American experimental filmmakers and entrepreneurial promoters of the avant-garde in the 1940s and 1950s. 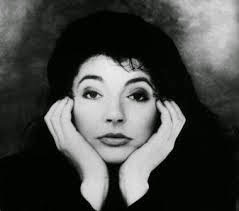 Deren was also a choreographer, dancer, film theorist, poet, lecturer, writer and photographer. In reading about Maya I found agreement between different sources that Meshes of the Afternoon is one of the most influential experimental films in American cinema. She was also a poet. The following are excerpts from two of her poems. my head that rests on nothing in mid-air. You can find the complete poems here. 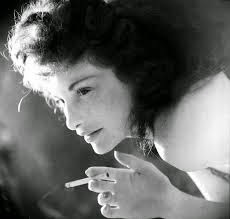 So today I hope Maya Deren will inspire you. I have offered a triptych for you to choose from. Select a photograph, her movie, or her poetry (or all three) and create a new poem. Please add it to Mr. Linky and please visit your fellow poets. the journeys go and come between honey and pain." Good day to all our followers and weekly visitors to the garden. I hope this Monday has dawned brightly in your part of the world. 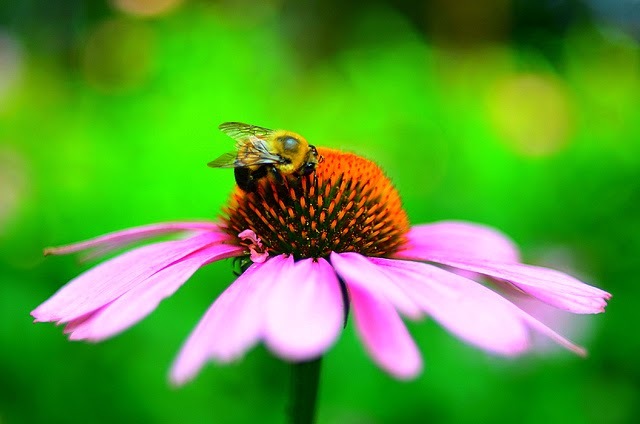 How fortunate we are to have the days of a new week ahead of us, hopefully in which to collect honey, rather than suffer any stings. By now, you all know the drill of our open link: share a poem of your choice, spare a few minutes to visit the blogs of others and, most importantly, enjoy this gift of poetry in the company of friends. In my part of the world, spring trees & flowers are in full bloom or will bloom soon. 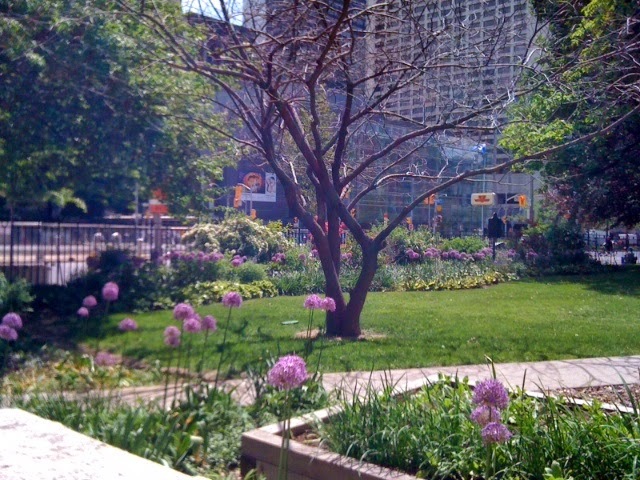 I love going out during my lunch break at work and just soak in the heat and bright colors bursting from sidewalks and small gardens beside high rise buildings. The most fascinating and intricate of biological structures, yet we rarely pay heed to the organs inside our body. Regardless of whether we fill ourselves with toxins or nourishing food, whether we exercise or not—our organs sustain us, working away effortlessly and unnoticed. Our challenge this weekend is to write about our insides with nature or season as inspiration. The prompt is wide open and feel free to use my title if it inspires you. Please write a new poem or prose poem or flash fiction (less than 250 words) and link up with Mr Linky below. I look forward to reading your words and don't forget to visit your fellow writers too. Happy, Happy Friday Toads!!! Its Herotomost with a Friday challenge for real this time. Can't flub this up two months in a row or I will be in danger of being exiled from the Garden for good. So I will be on my very best behavior, I will not create this challenge in my underwear and I will make sure it gets posted on time. It has been 108-111 degrees here the last week, so anything I can do inside in the air conditioning is a welcome task. 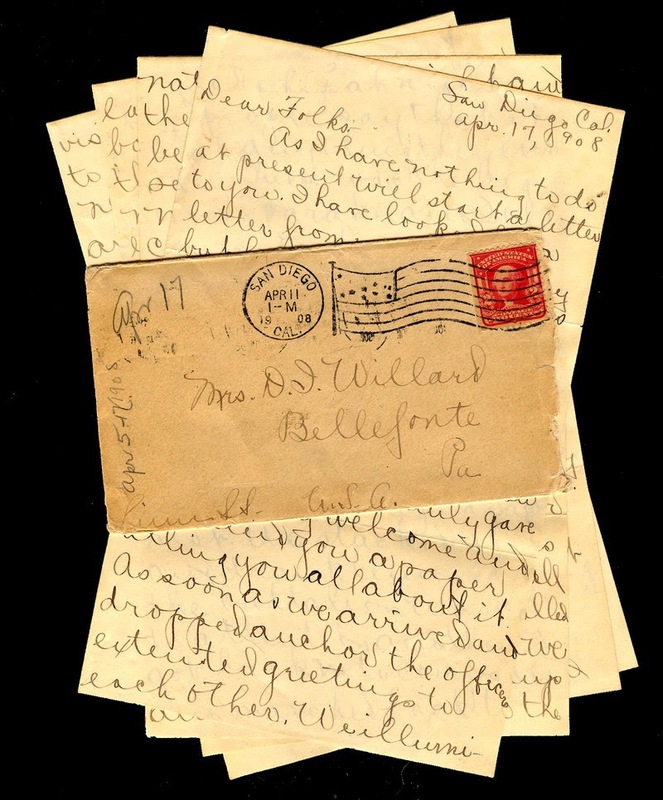 Today I want to talk about the long lost art of letter writing. My daughter (8) has ben on a jag of letter writing lately, not sure why or how it came about, but she has been writing letters to everyone she knows and sending them. It got me to thinking how good it feels to get something in the mail that is not a bill, a flyer or some magazine that you don't remember ordering. There is something personal about a letter that can't really be duplicated by email, text or phone conversation. I think part of it has to do with the being able to take your time, say what you want in unabbreviated terms and the fact that taking the time to do it seems just a little special. For the challenge, I want to write a piece that mimics the tone or form of a letter to someone. It can be anyone. It can be a love letter, a correspondence to the local utility company, a letter to your Great Uncle Ned, an angry letter to your senator, I don't care but be creative with it. Put in those personal touches for which you Toads are so famous. If you want a little extra twist to the challenge, you can write the letter to one of your writing friends here in the blogosphere and when you are finished, you can stick it in an envelope, stamp it and send. Think of the warm fuzzy you will give them when they open it and you make them think that you are stalking them. And if your wondering if your toad friends are worth the cost of a stamp, just think back to all the wonderful support and wonderful writing they have brought you over your stay here in the Garden. With that I will bid you a fantastic weekend filled with family and friends or rest and relaxation. Love you all and hope this Challenge finds you well! Good morning sweet Toad folk, Fireblossom stepping in here to do our Word List for today! The idea is simple. Use at least three words from the list and include them in an original NEW poem and then simply sign the linky so that we can come see what you have created! While you must use at least three words from the list, feel free to use as many more of them as you would like. Today's words come from one of my all-time favorite novels, "The Myth Of You And Me" by Leah Stewart. I would tell you what it's about, but I don't want to influence the poems you may write! Have fun, Toads and pond friends. 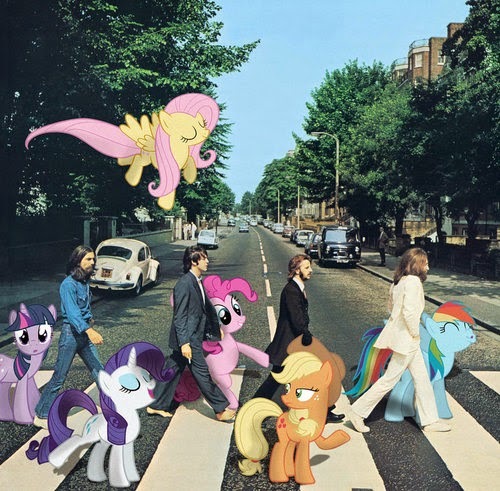 top image: "My Little Abbey Road", by Davca at deviantart. Hello, my fellow pond dwellers. Sherry here. 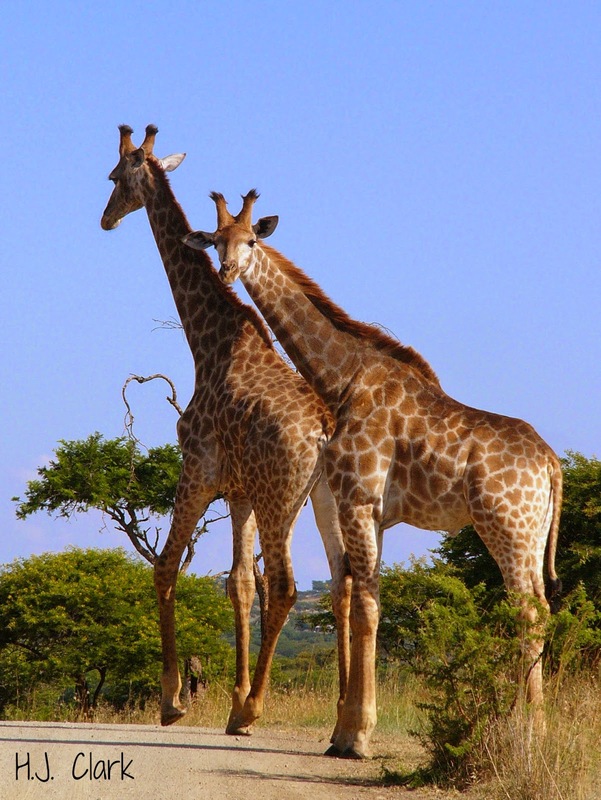 When Shay issued me a personal challenge, she made it easy on my old gray matter - she asked me to write a poem with an animal theme, but to make it rhyme. Luckily, it was a day when my neurons were firing, and I remembered the true story of this beautiful lion, from the best book I ever read, The Mystery of the White Lions. I beg your indulgence as to the rhyming. Thank you, Shay, for the animal theme, my fave, as you know. are wandering through my dreams. Choose eternal darkness or rebirth. will roar for the last time. The sun will disappear forever from the sky. we all will cease to be,"
too late, by then, to begin to wonder why. trapped, he turned and stared his hunters down. our fate determined by the bullets' arc. He walked towards them proudly, unafraid. They chose, for they had paid. and, as he fell, his last roar dimmed the sun. The hunters chose our fate. There is little more to tell. This story is told in The Mystery of the White Lions, Children of the Sun God, by Linda Tucker, who is in love with the white lions. She formed the Global White Lion Protection Trust, and protects those she has been able to rescue in a wild sanctuary in their ancestral home of Timbavati, in an effort to keep them from being hunted to extinction. There they roam free, hunt and raise their cubs wild, but in protected territory. The only other known white lions are kept in captivity, some in a compound in the USA, the others in a compound in Africa for Great White Hunters to shoot, in an enclosure where there is no escape, for a fee of $35,000, and a piece of their souls. 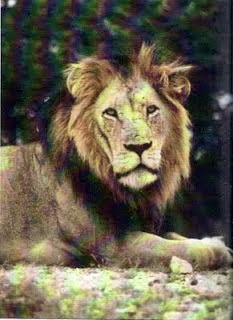 The courageous Ingwavuma, whom Linda knew and loved, was not himself a white lion but was believed to carry the gene, so he would have sired white lions. He was cornered in a "hunting" enclosure. When he saw there was no escape, he did not cower. He met his fate bravely and, thereby, those hunters perhaps cursed mankind to eternal darkness. Certainly their hearts were dark. Shaman Credo Mutwa told Linda that, long ago, a star fell to earth, after which all animals in the area where it fell bore white offspring, the few remaining white lions descending from that time. 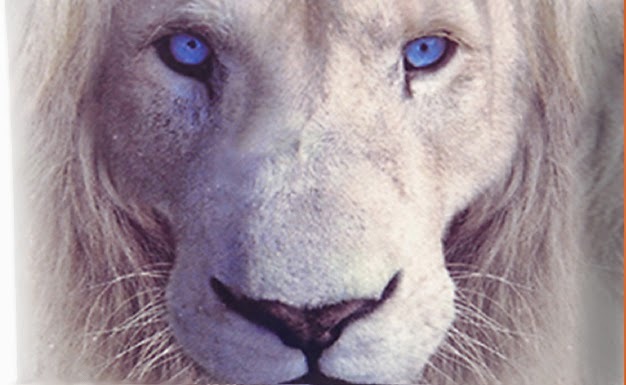 The shaman says the white lions, who have blue eyes, guard a secret that can save humankind: to turn towards enlightenment, or remain forever in darkness. He says when the last white lion is gone, the sun will disappear. It is, perhaps, the most fascinating and stirring book I have ever read. The exact time and date that Ingwavuma was murdered is the only time the setting sun was aligned with Regulus, the heart star in the Leo constellation, symbolizing the birth or death of a Lion King and, consequently, the birth or death of life on earth. I posted the story of Linda Tucker and the white lions here, should you care to read more. I recommend the book highly. 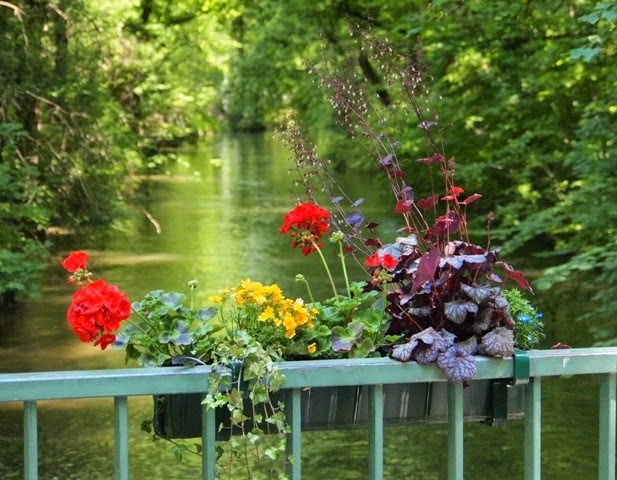 I wish all friends, new-comers and regular followers a very pleasant Monday, the first in the month of June. It was with great sadness that we learnt of the passing of Maya Angelou, last week but I believe there is cause to celebrate a life well-lived, and to recognize the immeasurable contribution she made to the literary world, as well as to remember her humanitarian efforts. Once again, our open link affords everyone the opportunity to share a poem of their choice, and to provide an array of exceptional poetry to read and enjoy. We hope you will find the time in your busy Mondays to pause here a while, and enjoy the companionship of your fellow poets.